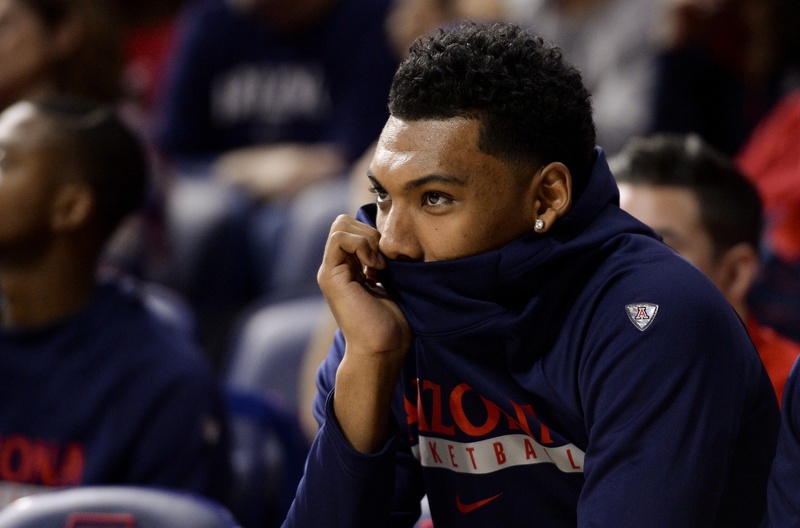 Just minutes before Utah was set to play Washington State in what promised to be one of the least exciting Pac-12 games of the week, ESPN made things much more interesting by reporting on the reason behind Arizona star Allonzo Trier’s long suspension. A poorly kept secret for months in college basketball circles, Trier’s indefinite suspension was the result of a positive test in September 2016 for a performance-enhancing drug. According to the report, Trier had appealed the suspension and won, but the NCAA would not allow him to play until the drug had completely exited his system. This explains why no one has been able to provide realistic timetables on when the sophomore guard would be back on the court. This is a compelling story for a myriad of reasons. First, any time one of the most recognizable programs in college basketball is involved in something newsworthy, it is going to draw interest. Second, there just aren’t many historical instances where a college basketball player has been suspended for PED use. A quick Google search turns up a number of stories on college football players getting suspended for PED use, but there are very few high-profile cases of PED use in college basketball. Finally, what makes this story so fascinating is the way it has been handled from the very beginning. 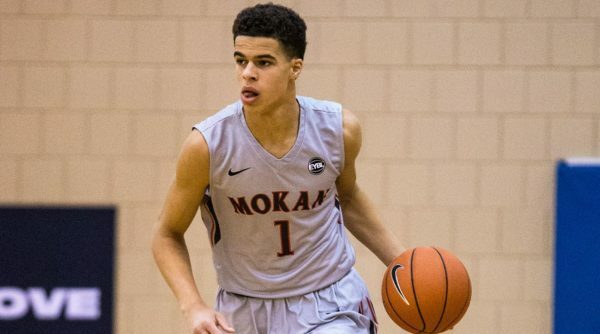 Last night in Washington, a 6’4” combo guard showed off a dizzying array of skills, set Twitter ablaze and almost certainly turned the heads of the numerous NBA scouts watching on ESPN2. In other news, the Huskies’ Markelle Fultz scored 22 points on 16 shots. 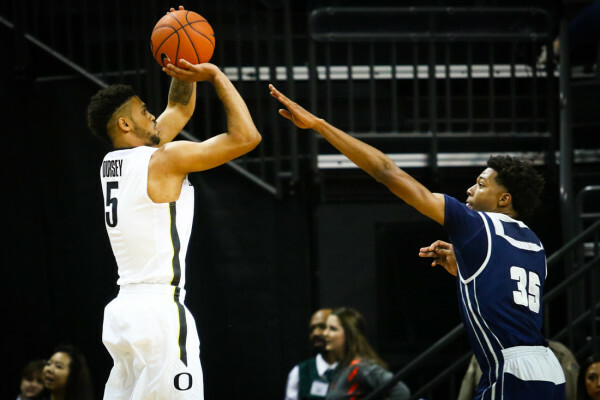 Oregon sophomore Tyler Dorsey had, in the words of his coach Dana Altman, “one of those games,” unleashing a scoring flurry as good as any you will see in college basketball this season. With Dillon Brooks straddled with foul trouble in the second half and Washington threatening to hang around, Dorsey hit a three-pointer off a pass from Brooks and didn’t stop shooting until the game was over. When he was finished, he had made six consecutive buckets (five from downtown) in scoring 17 points in fewer than 12 minutes. His eight made three-pointers were three more than his career-high and his 28 points represented a career-high against a Power 5 opponent. But it wasn’t just the sheer number of three-pointers that made Dorsey’s performance so impressive last night, it was the variety in which he got those points that was notable. Dorsey wasn’t just camping on the perimeter waiting for a kick-out pass. He was swishing shots in transition, pulling up effortlessly off the dribble and putting on a catch-and-shoot clinic. No stranger to 20-point games during his collegiate career, Dorsey looked as confident as ever in his touch last night. You’d be hard-pressed to find one of his second-half shots that even hit the rim. The question now becomes whether his performance against a lackluster Washington defense is a sign of things to come for the Los Angeles native, or just another tantalizing tease of his vast offensive potential. Remember that this was supposed to be a breakout season for the sophomore, the kind of emergence capable of making an already elite Ducks’ offense completely unstoppable. Oregon is still waiting for that breakout. If you think one week into the conference schedule is an odd time to release our inaugural Pac-12 Power Rankings, you might have a decent case. However, we would argue that now is the best time to release our power rankings because the first weekend of conference play taught us a lot about a number of teams. For example, we now know that USC isn’t quite as good as its record and that Utah is likely better than its non-conference performance suggested. We will be updating this list weekly. 1. Oregon: Lost amid the start of the Dillon Brooks Revival Tour was the emergence of freshman Payton Pritchard as a legitimate playmaker. The precocious guard amassed 16 assists in his first two Pac-12 games and it shouldn’t surprise anyone that the Ducks’ offense looked more potent as a result. If he can continue to distribute the ball so effectively, it should alleviate some of the team’s offensive concerns moving forward. 2. 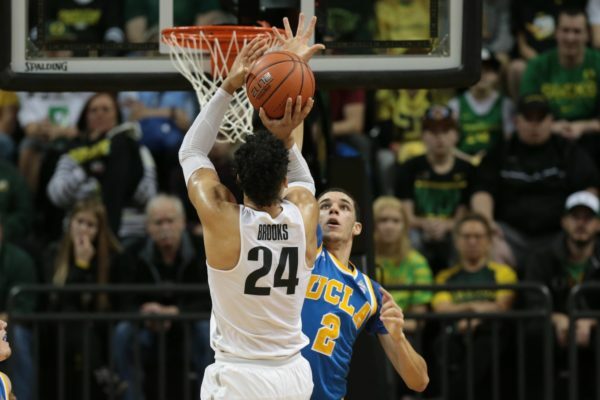 UCLA: Let’s not focus on losing to a Dillon Brooks leaner. 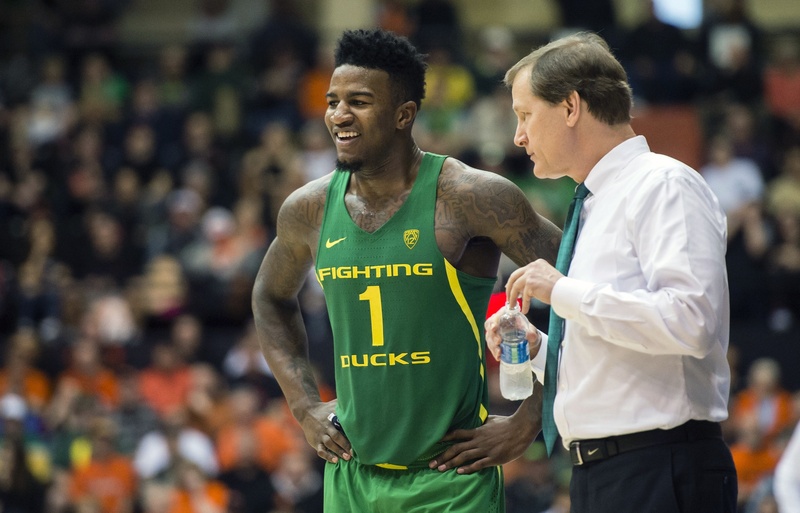 Process above results and UCLA was mostly UCLA during its recent trip to Oregon. You know who wasn’t? Isaac Hamilton. The Bruins’ guard shot 1-of-16 for the weekend — is this an anomaly or a trend? Most likely the former as Isaac is a career 45 percent shooter. He’ll recover, but the Bruins’ first road trip in conference play was a staunch reminder that the core of this team was 15-17 one season ago and still plays very little defense. 3. 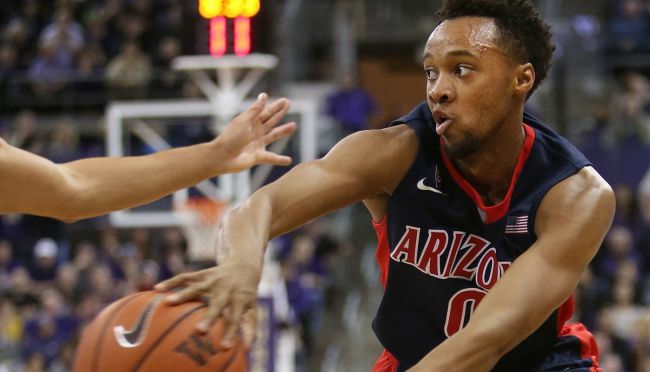 Arizona: While Oregon was stealing headlines at the front end of opening week, the Wildcats were quietly completing an impressive road sweep in the Bay Area. 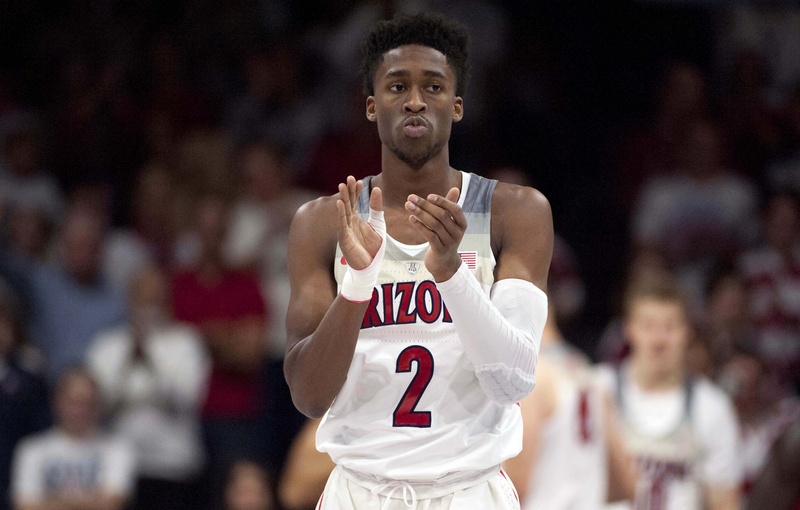 The best development for Arizona may be the arrival of its frontcourt as a legitimate offensive complement to the backcourt. Over the weekend, Lauri Markkanen, Chance Comanche, and Dusan Ristic shot 29-of-39 from the field and combined for 76 points. 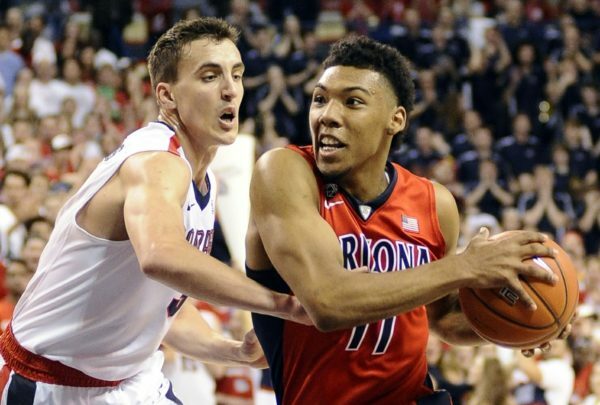 Arizona is already a great defensive team (81.7 DRtg after two conference games), but if they find consistently balanced scoring, look out. Should We Be Taking USC More Seriously? When USC rallied to beat Texas A&M, it was good luck. When the Trojans squeaked past SMU a week later, it was thanks to Bennie Boatright. When they beat BYU a week after that, it was because the Cougars really aren’t that good and the game was in Los Angeles. 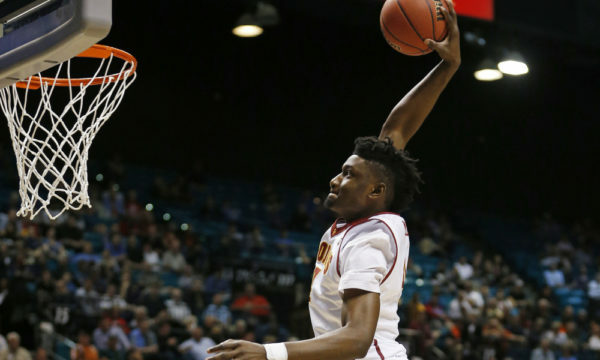 These are all logical ways to rationalize dismissing USC’s hot start, but the fact remains that the Trojans are just one of six unbeaten teams remaining in Division I basketball and a group that was picked to finish seventh in the preseason Pac-12 standings is rebuilding faster than anyone imagined. Of those six teams sporting flawless records, most smart basketball minds will tell you that Andy Enfield‘s team is easily the worst of the group. KenPom agrees. ESPN agrees. The Trojans are off to their best start in more than 40 years and CBSSports.com barely included them in this week’s Top 25. The conventional wisdom is that, while USC’s early success deserves some attention, the Trojans still aren’t worth taking all that seriously yet. USC feels like a prime candidate for regression to the mean once the rigors of conference play begin. 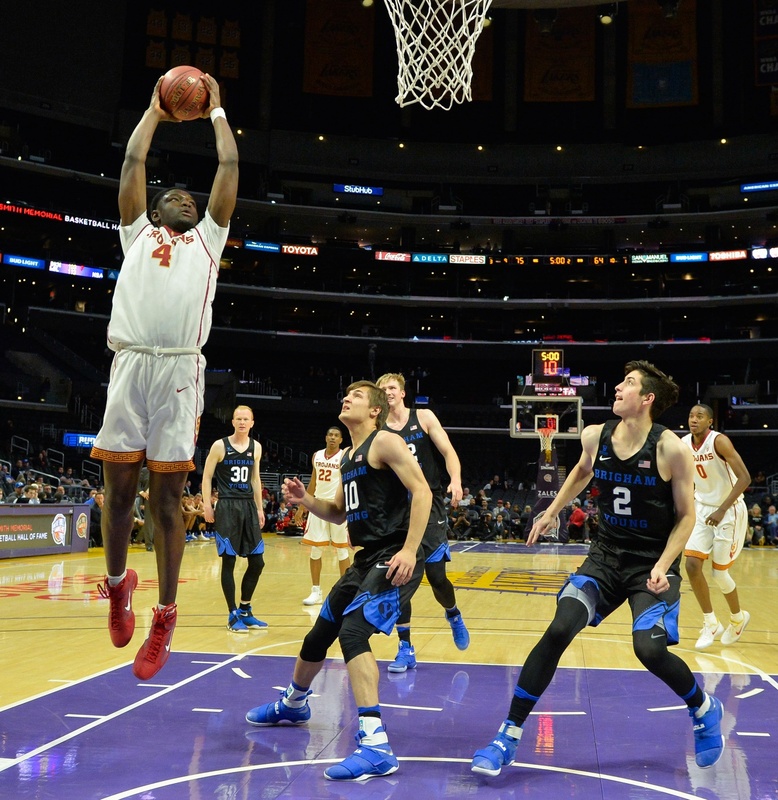 The Trojans own three resume-building wins by slim margins, but a non-conference slate that will include just one game outside California doesn’t impress anyone. Enfield’s roster is one of the 20 least experienced nationally and his best player is expected to be out of the lineup for at least another month. Still, there’s a lot to like in Troy. USC has used more than good fortune to remain unblemished for the first five weeks of the season. The steward of “Dunk City” has created a well-rounded, disciplined and deep group that is producing top 50 efficiency metrics on both ends of the floor, placing a particular importance on taking care of the basketball (top 15 nationally).